If you’re having a party on the 4th July, you most certainly need an attractive table! Make it pretty with these 4th of July Centerpiece Decor ideas! The Fourth of July is a day that carries with it a lot of pride, promise and happiness. It is truly a day to be celebrated, at home and within communities. Whether you’re planning a party for Memorial Day, the 4th of July or a fun summer BBQ, these last-minute Fourth of July centerpieces projects will add a burst of red, white and blue to your tables. Besides conveying your patriotic sentiments, they’ll also make your party festive and fun! Make these super simple patriotic upcycled can flower pots that are sure to brighten up any patriotic themed party table. 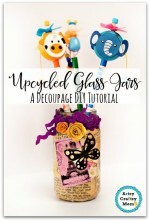 Mom 4 Real shows how easy it is to turn empty cans into pretty vases! Serving double duty, this 4th of July candy table topper tastes as delicious as it looks. Get the Tutorial at Gluesticks. This DIY Red White and Blue Party Decoration from She Wears Many Hats couldn’t be easier. This is one the kids can make too! Makes for a great sensory experience as well. Once the party is over you can save the colored rice to use for your next festive occasion, just put a top on the jar and gently store it away. Create this delicate centerpiece for a sophisticated picnic charm. Hop onto Tidy Mom for the DIY. 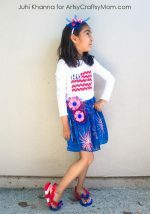 Celebrate your patriotism with this Red, White and Blue craft project. 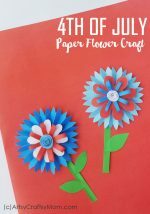 This festive bouquet from Fave Crafts makes a great quick and easy Fourth of July decoration or the perfect outdoor picnic table decoration. If you don’t have a huge amount of time to decorate with all things red, white and blue, don’t stress! You can still celebrate Independence Day with this cute makeshift American Flag from mason jars as shown in It All Started with Paint. Since the 4th of July simply isn’t the same without some firecrackers, rockets or sparklers, there are plenty of ways to still have them at your party, only in a slightly safer form. Check out this Fireworks themed decor at Happy Hour Projects. Turn a simple colander into a gorgeous and unique centerpiece with this DIY from Sadie season goods. Makes me think the use of rattan spheres and colored twine is just perfect! Got some empty Pringles Cans lying around? 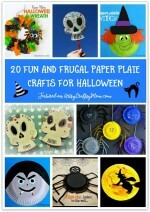 Then don’t look further than this fun and easy to assemble Can craft from I Gotta Create! Get ready to bust out the stars and stripes with these easy DIY Mason jar lanterns from Addicted 2 DIY. How cute and easy are these centerpieces? Most of them have a photo tutorial that shows you each step, so that you don’t miss a thing! Hopefully, one of these sparks your interest and becomes your centerpiece for this year’s party or get-together!